This week has been one for the returning of old residents to the farm and the arrival of a new resident. After being away for around 9 weeks, Lyndsey and Flora, two of our highland cattle came home, after being away having a party with the bull. I was in the barn, busying away with some jobs, on the day they returned. I heard that familiar squeak in the distance and immediately recognised it as Pete’s trailer, on their way down the lane. I went to greet them as they pulled in through the gate and as I turned to walk down the field alongside them I looked to the top field where our other cows, Monica and Morag were both trotting across the field to the fence, to welcome them home. Now, I couldn’t believe what I was witnessing, firstly, how did they know what was going on and so quickly, the returning cattle were in a sealed trailer. Secondly, I don’t think I have ever seen Monica move so fast in over two years since she first arrived. All I can say is that whatever they thought about their two friends returning to the farm, it was definitely a big deal! Now all we can do is hope that all went well and their time away was productive, hopefully leading to them both having calves in the late spring or early summer, fingers crossed! Now I just have to resist the temptation of standing in the field staring at them both, convincing myself that they are putting weight on, let’s just wait and see what happens shall we. 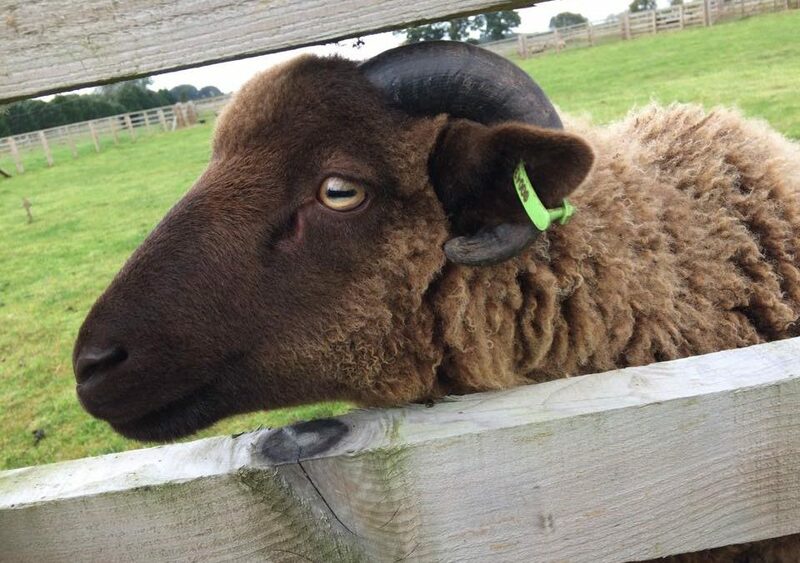 As we have unsuccessfully been on the hunt for a new tup for the farm, for the last few weeks, it had been recommended by several people that I should make a visit to the rare breed sale at Murton last weekend. So, on the Friday I went along to the show to have a look at what was potentially on offer, although I had already had a look at the catalogue on line, to check things out. So, having seen sufficient on the Friday to tempt me to return, I was up early the next morning to get my chores completed before I went out to continue my hunt. When I arrived at the sales I once again browsed through the sheep, before the sales commenced, paying particular attention to the male of the species. I needed not to be caught out like I had previously, that time when buying goats and finding later, in fact 12 months later that we hadn’t bought two females after all, but one of each. I had homed in on a couple of tups who I believed could fit the bill of what I was looking for. I had walked around the sheep several times and as I was keen to find a good natured animal, rightly or wrongly, I would reach out to stroke each of the animals. As I did so, if they pulled their head back away from me, if they pushed hard against my hand or if they went to give me a good old whack, then I disregarded them. I needed an animal that would cause me few if any problems and hopefully that’s what I brought home with me. I think we got a really beautiful sheep, with a good pedigree and as a bonus, although he is a mid brown colour, he’s as close to ginger as we could get! Hopefully he can do a great job for us next month, but only time will tell.